We’ve long championed the moustachioed musical wizard around these parts and the man continues his winning streak with this latest release. Coming to prominence a little with the ever reliable party starter Eurodans, Todd then unleashed a myriad of high class disco edits to the world, mostly bootlegged or circulated on low bitrate mp3 but nonetheless essential listening. Sadly with a hiatus from original productions and only the odd (exceptional) remix appearing there were those keyboard warriors who turned on Todd’s playful nature and pop edits and he was branded a ‘wedding dj’. Well in April this year he smashed the haters out the park with the glorious dancefloor bomb ‘Ragysh’ on Running Back and its equally good, melodic and ambient b-side ‘Snooze 4 Love’. Well, the man has excelled himself and topped these efforts with his new release. Musically you could say it falls somewhere between his previous two tracks, dancable but more subtle than ‘Ragysh’ and containing some lush synth melodies along the lines of ‘Snooze 4 Love’. The track is propelled by a bouncy italo bassline and some synthetic lazer sounds, before the stunning heaven sent melodies start to come to the fore. The beauty of this one washes over you whilst still retaining a tight groove until a rumbling and darker bass sound and some swirling arpeggiator takes the track to its immersive crescendo. This could already be crowned as the track of 2012. It first appeared in the middle of a recorded dj mix on soundcloud and had internet heads turning immediately, gradually further information has surfaced and today a presell link has been added to the Piccadilly Records website (check it out for a hilarious press release!). 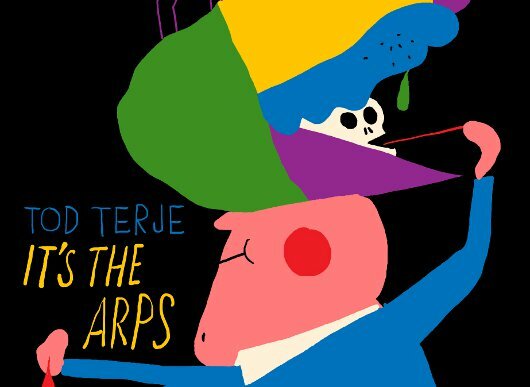 The track will be released on Terje’s own label Olsen (co-run with the ever excellent Smalltown Supersound) on the ‘It’s The Arps’ E.P., so named as all the sounds found on it have been produced by the ARP2600. This is an essential release and is in shops on January 9th, do not sleep on it. It is from 2010 and not much press was given to it. I have been listening to this repeatedly. It does not bore. 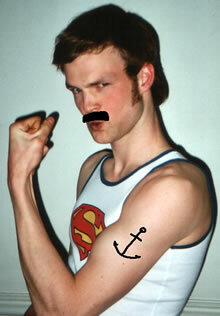 From the same lands as Todd Terje which is cooling it down with his edit business, emerged Diskjokke. His remix work is floor oriented and with a trance feeling added to it. Yet house is the genre which should archived under. En Fin Tid is Diskjokke showcasing his skills as a solid producer. All tracks in his album ‘En Fin Tid’ are superbly produced all sharing a layer of gloss that blends perfectly in any set which aims at filling the dancefloor. This ‘1987’ track will remind you of Todd’s latest bomb ‘Ragysh’. A bit technoid, melodic, with breaks here and there. And yes, the adequate dose of reverb. Highly recommended as it is the also Norwegian label Smalltown Supersound in which crazy pair Mungolian Jetset has released couple of albums. I recently had a discussion with an old friend about Todd Terje’s recent burst of top class activity, and when our conversation turned to our good old favourite Terje edits, I was amazed to hear that my friend did not know this classic. Paul Simon’s Graceland LP, regardless of your take on the accusations that he mugged the musical heritage of a continent, pulled off the miraculous trick of perfectly marrying American country/folk songwriting with African rhythms and sounds. Of course, other musicians had experimented with polyrhythms before, but no one had done so in pursuit of a making something that at its heart was a traditional American pop record. The record may as well be the soundtrack to the collective unconscious. When I first heard this edit slipping dreamlike in the middle of a mix, i had a nigh on religious experience. Caked in reverb, the Ladysmith Black Mambazo chanting immediately takes you to church, surrounded by hypnotic rhythms, shimmering guitars, all leading up to an exhilarating drop putting you in the centre of swirling echo. Then that deep wriggly bassline makes you move, softens you up before that warm familiar voice from your childhood guides you into the light. This is my all time favourite Todd Terje edit; he takes a song I’ve loved for as long as I’ve listened to music, and makes it even better. Here it is, ripped from a vinyl pirated from an mp3, in as high a quality as that allows. Tore Andreas Kroknes, otherwise known as Erot, was a rising star in the house music world at the turn of the millennium. Boyfriend and producer of Norwegian pop starlet Annie, friend and colleague of Bjorn Torske and in house designer at the influential Telle label (home to Kings of Convenience, Bjorn Torske, Royksopp, Annie) things were certainly on the up for Erot. However, the musical world was denied a true star when he died tragically early in 2001 at the age of 23. He paved the way for the Scandinavian disco scene that has gone from strength to strength over the past decade, hailed as an inspiration by Lindstrom, Prins Thomas, Todd Terje and Bjorn Torske. Obviously given the dubby style of his music, he proved a hit with Idjut Boys, who released this track on their own Discfunction label. It is a testament to his love for music that rather than accepting a fee for this release, he instead asked Idjut Boys to pay him in 40 disco 12″s. 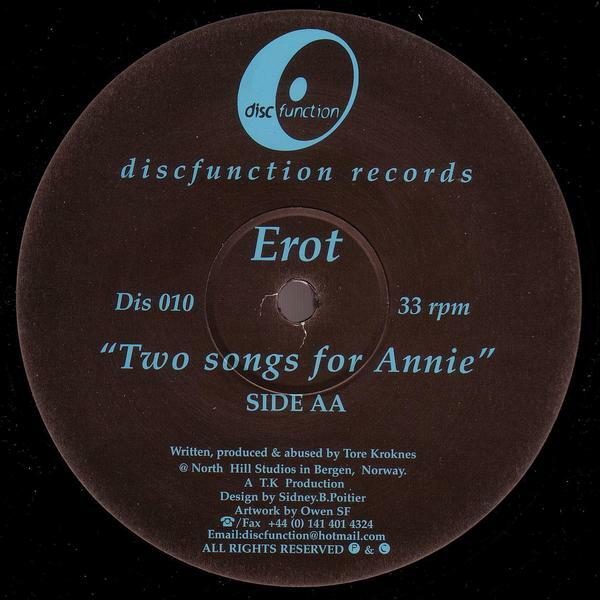 The legacy left by Erot is limited to a handful of singles and remixes, all of which sound fresh and current now, and were revolutionary at the time. 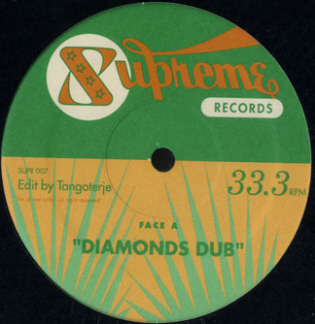 The pick of these releases was this 12″ on Discfunction. On side a, Erot builds a heart stopping house track out of samples from the Crusaders’ ‘Sweet n Sour’, building drums and rhythms up, letting a rough dubby bassline drive the track forward, then dropping the beautiful keyboards from the original. Stunning. On side b, he delivers another rhythm driven house track made out of a sample of Curtis Mayfield’s “Give Me Your Love (Love Song)” (from the Superfly OST), played at the wrong speed. A sublime slice of dub house that sounds streets ahead of the releases we see weekly in the times of edit mania. Here are both sides of this unclassic, along with the tracks Erot used to create them. Norwegian king of the edit Todd Terje has been fairly quiet of late, not releasing anything in ages aside from the Remasters of the Universe package, but since that was a collection of edits that had been knocking around the internet at varying bitrates since time began, it doesn’t really count as anything new. That was until now, when Todd announces that he has an upcoming 12″ on Gerd Janson’s Running Back imprint titled Ragysh. The 12″ contains four cuts beginning with the titular ‘Ragysh’, a balearic house number with deep and warm stabs soaring over some head nodding percussion incorporating the first two seconds of Blondie’s ‘Heart of Glass’. This is joined by its sister track Bonysh, which is a crazy drum track based on the same Blondie sample and some hot cowbells. The 12″ is rounded off with ‘Snooze 4 Love’ in two different incarnations. First up is the original version, a dreamy and spacey mid tempo number reminiscent of ‘All Flowers Must Fade’ by Daniel Wang, lush synths coasting along on top of a bouncy rhythm. The ‘Snooze 4 Love (Version)’ is a beatless treatment of the track bringing to mind Tangerine Dream’s ambient classic ‘Love on a Real Train’. The record is of the highest quality and is out soon, so check the usual vinyl haunts. As a treat here are some samples of the moustache wearing genius, along with the two other classics mentioned in this post. As always they are here for a short time only and i recommend you dig deeper into the artists and track down the releases as they should be heard on beautiful black wax. 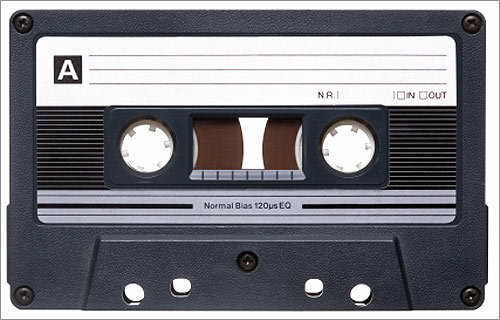 there we go with some old some new but all timeless music for your own enjoyment.